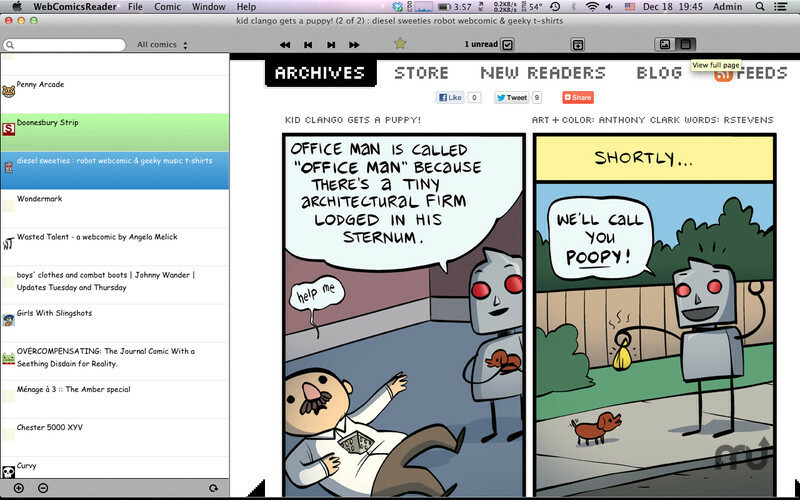 Read your favorite web comics. Is there a better alternative to WebComicsReader? Is WebComicsReader really the best app in Entertainment category? 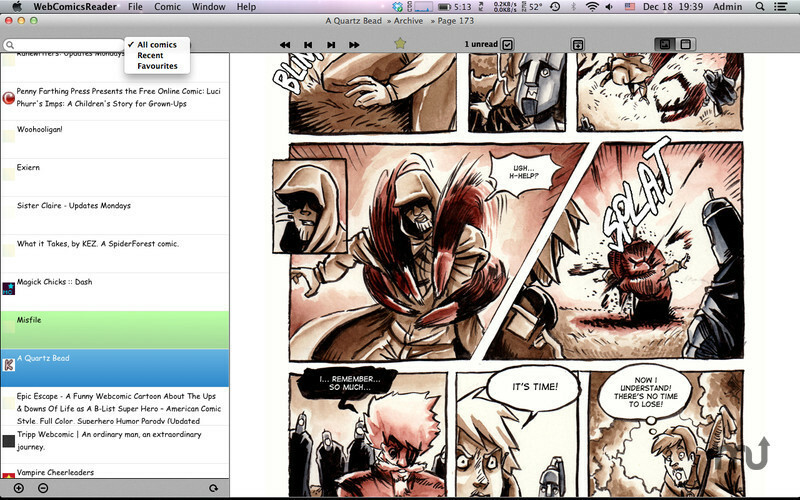 Will WebComicsReader work good on macOS 10.13.4? 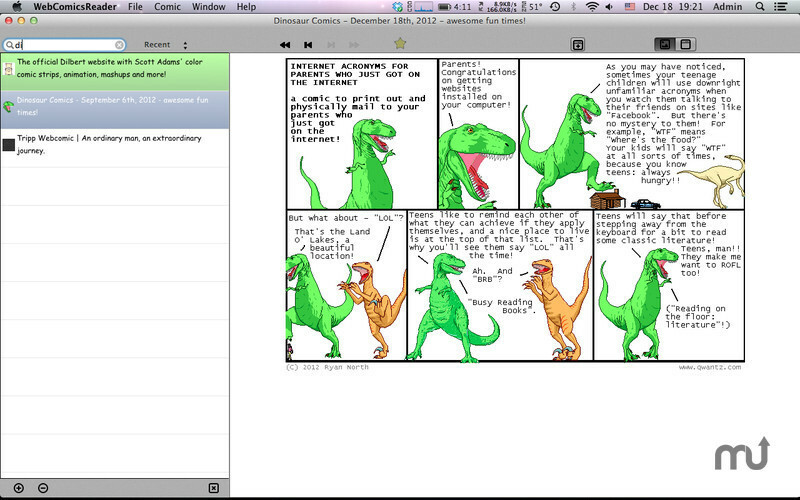 WebComicsReader is a simple app for reading web comics. Just what you need for reading your favourite web comics. Reading, mark your favorites, sharing to Facebook, Twitter and by e-mail. Fast and easy way to catch up with comics you missed. Busy week and you missed your favourite comics? No problem, WebComicsReader gets them all! Only what you need for reading your comics - reading, mark your favorites, read them offline. Fast and easy way to catch up with comics you missed. Pick any periodical, single-page web comic, enter it’s web address and go! Standalone application - no subscriptions. 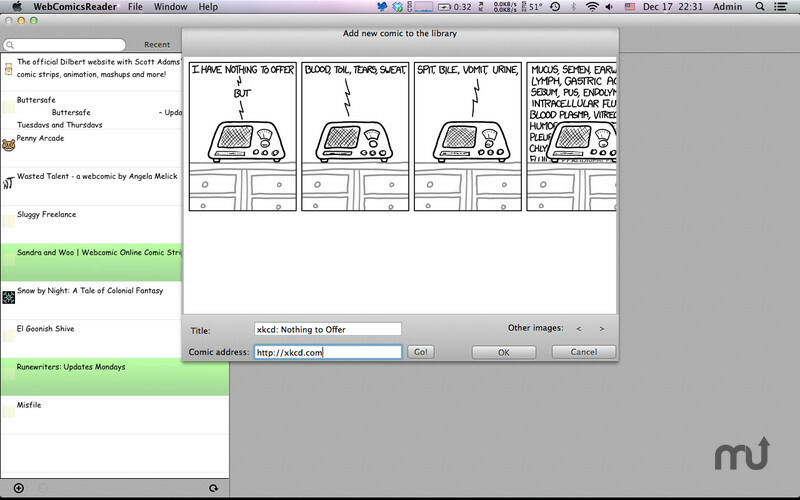 New keyboard shortcuts for comic navigation. Added a button for deleting comic issue. WebComicsReader needs a rating. Be the first to rate this app and get the discussion started! All you need is your app and internet access to websites of your comics. No need to make an account on any other service. No passwords, no collecting your personal information. Just browse the comics and have fun! Share comics to Facebook and Twitter, send to e-mail. 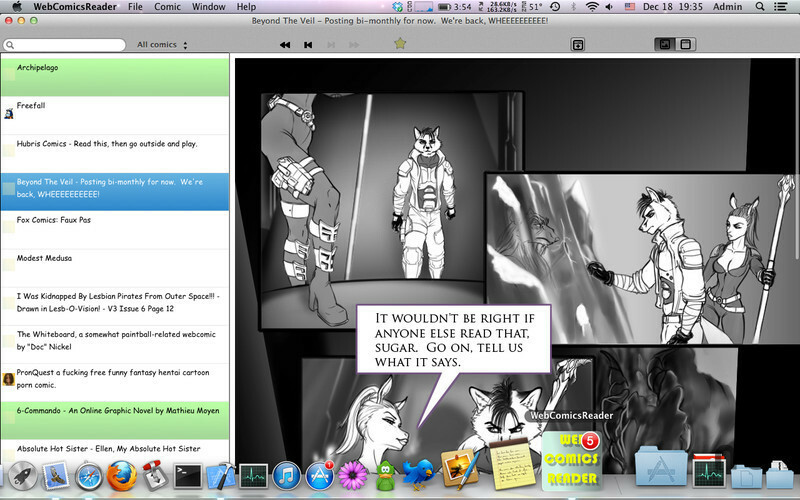 View full comic page in your web browser or inside the app.